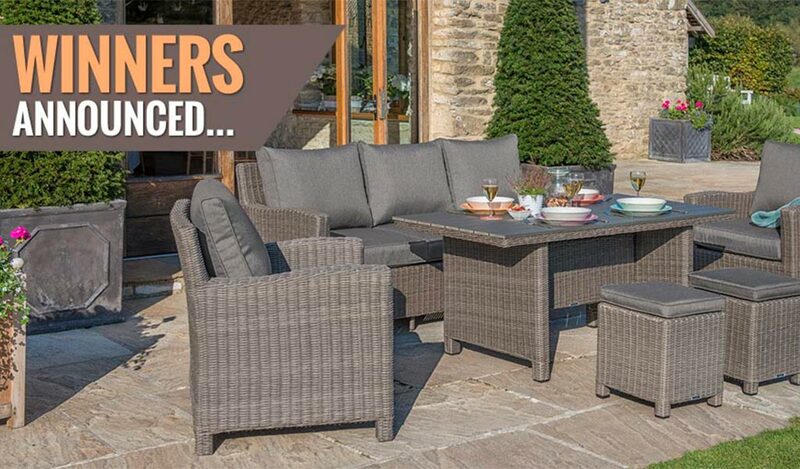 Thanks to everyone that entered our competitions to celebrate the launch of the new Kettler Indoors Outdoors hub! 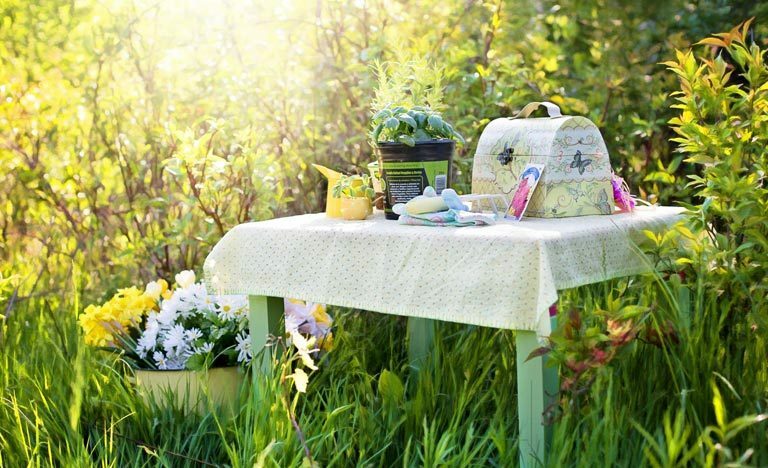 Organising a garden party takes careful planning and some creative thinking. 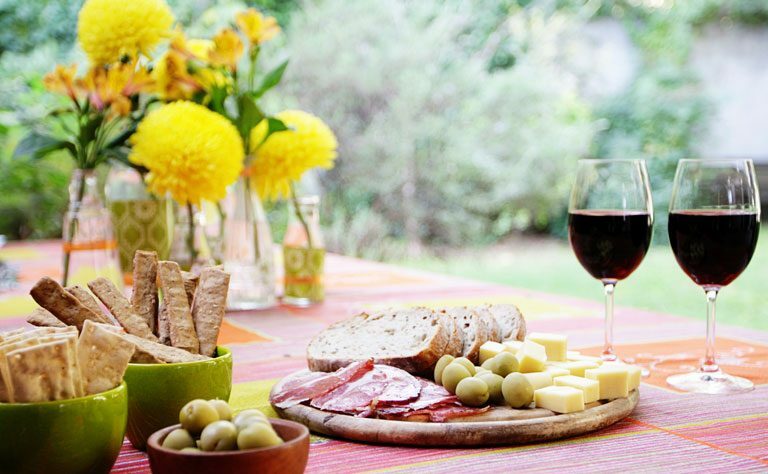 There’s a lot to consider like what to put on the menu, setting the tone with music, and how to style your garden to impress your guests. First impressions count. Let your guests know they’re in for a fun time the second they arrive. Set out a path of flickering lanterns and greet party goers with flutes of bubbly, charming cocktails and mouth-watering nibbles. Fire up the BBQ early and slow cook chicken souvlaki on a rotisserie. 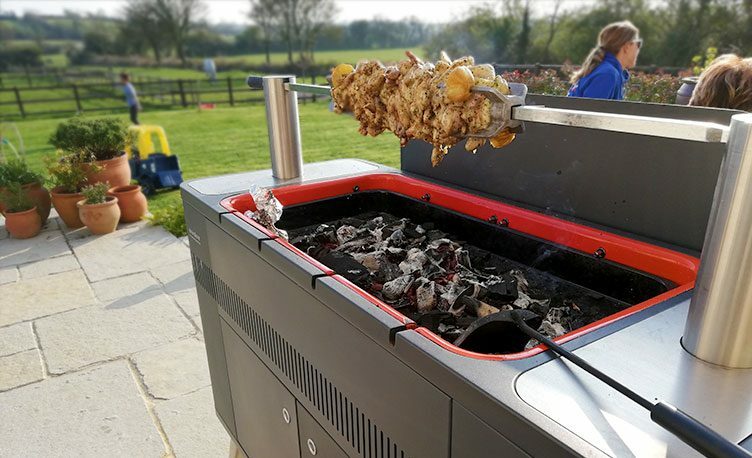 Guests arrive to the smell of your delicious garden party food, and cooking on the spit gives them a spectacle. 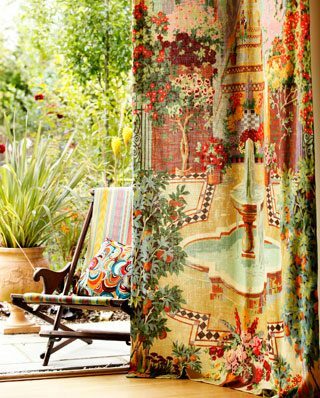 Draw inspiration from your surroundings and the seasons to create an outdoor party theme; in summer, make the most of the colourful flowers, warmer nights and go for a bohemian feel. 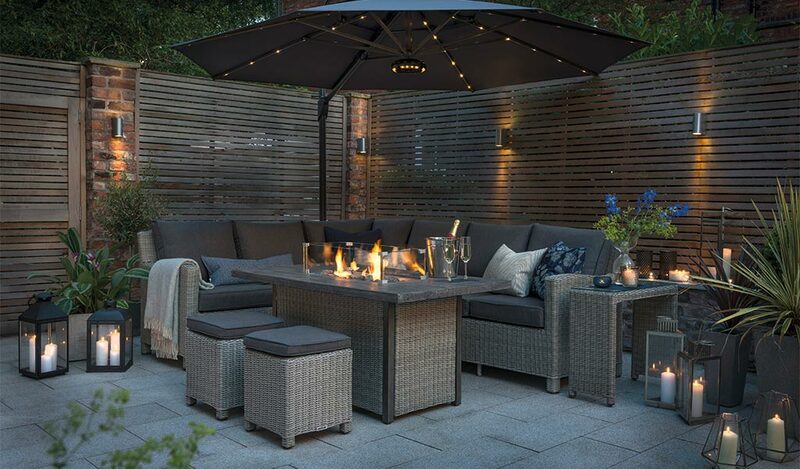 Enjoy a garden party all year round and on a crisp winter evening, wrap up warm for Bonfire Night and stoke up the fire pit. Music is important for setting the mood, so why not get your guests involved? Send a party invite or email, asking for everyone’s favourite tunes and set up playlists for the event. Dancing in the garden is a necessity at all garden parties and a simple way to keep guests entertained. Attach a wireless speaker to your parasol pole to have the music at the centre of your party. 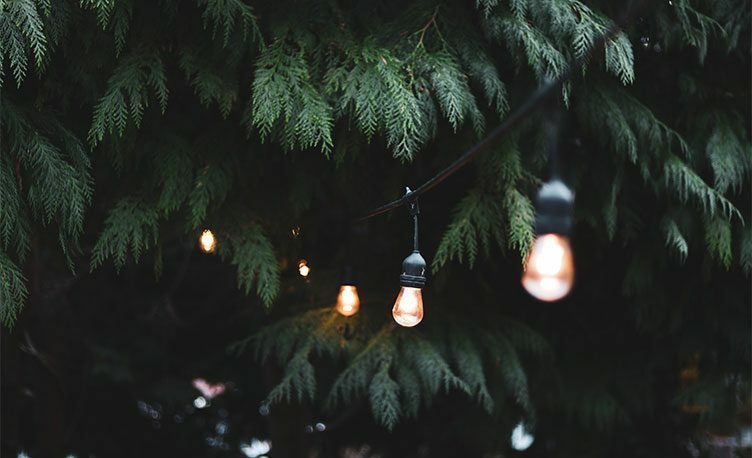 Once the sun sets, use fairy lights to add ambience and place candles on stairs and outdoor furniture to add dimension to your garden. Lights are a great way to combine functionality with style, creating a cool and intimate atmosphere in the evening. ho said fine dining’s for indoors only? True, finger food is easier to snack on while mingling, but there’s more to party nibbles than sausage rolls and quiche. How about delicate and healthy caprese skewers with mozzarella, tomato, avocado and fresh basil eliminating the need for cutlery? Or tempt kids and adults alike with home-made sweet potato and parsnip chips, accompanied by spiced mayonnaise. When it comes to drinks, let your imagination run wild. Give classic cocktails a fresh twist by flavouring and garnishing with home-grown herbs, straight from your garden; or create a signature cocktail for the party. 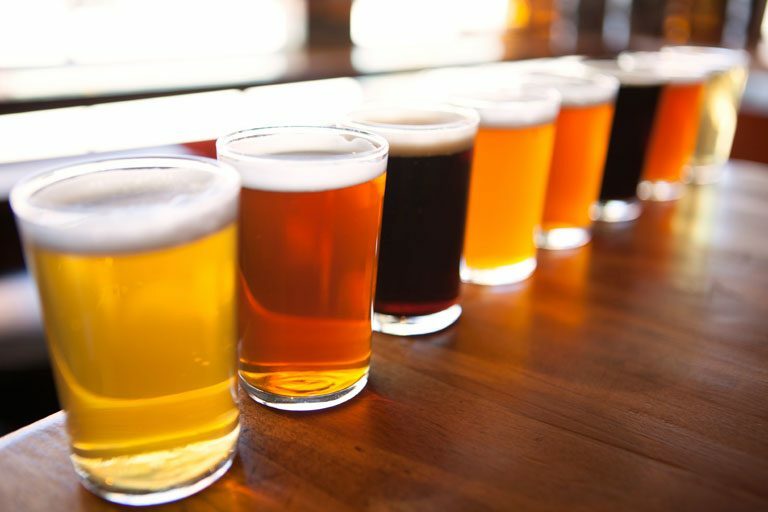 Ask the mixologist at your local bar for tips on flavours that work well together, or check out TheBar.com for inspiration. As long as you’re well prepared, it’ll take more than a bit of wet weather to get between you and a good time. 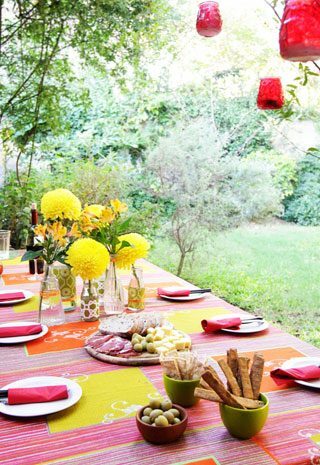 Put a canopy or parasol up in the garden and deck it out with chairs, throws and lights to create a comfortable spot to host your garden party. If you don’t have space outdoors for a canopy or parasol, why not extend your party decorations to an indoor area, dressing it with plants, wildflowers, leafy branches and bunting, to evoke a garden atmosphere? 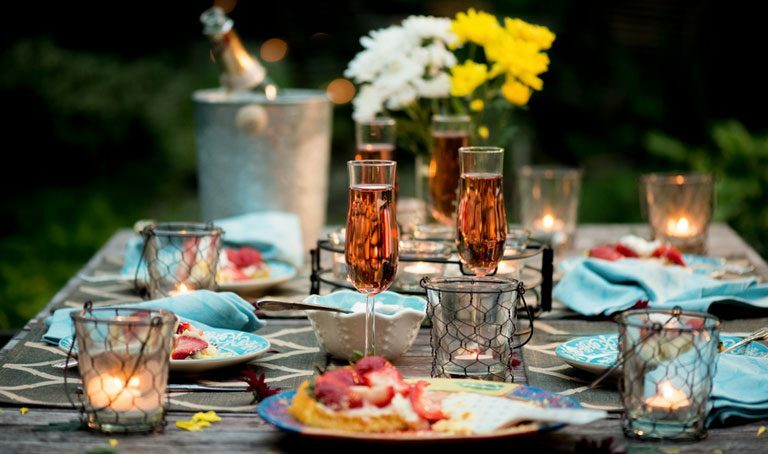 After all; the best parties are often found in the kitchen so if the weather does turn on you, crank up the music and move the fairy lights and the party indoors. 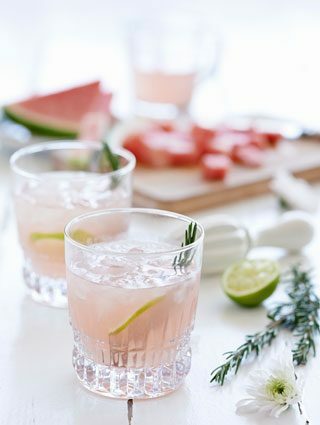 Great gardens call for great drinks, and nothing beats the zingy freshness of ice-cold, al fresco gin cocktail on a sunny day or any day to be honest. But when was the last time you got creative with your gin? The G&T is a classic favourite, but we’re in the midst of a ‘ginaissance’, and with so many exciting gin flavours and recipes to try, why stop at tonic? 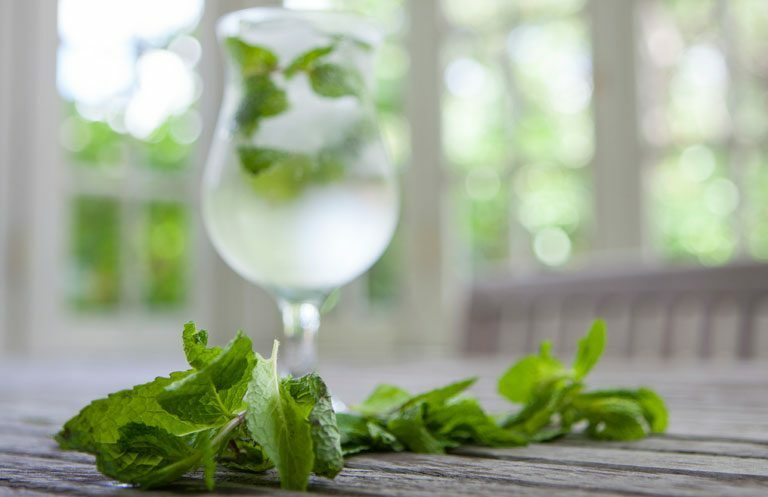 We asked John Burke from the Craft Gin Club to pick his top three recipes for lounging outdoors, including herbs to garnish with. Check them out, then wow your friends with some mean mixing skills and freshly picked ingredients straight from your garden! Your favourite gin, vermouth and ice. Pop the vermouth and ice in your stirring glass or shaker, stir and strain. Add gin, stir and then strain into cocktail glasses. Start with 1 part vermouth and 45 parts gin, but feel free to experiment. 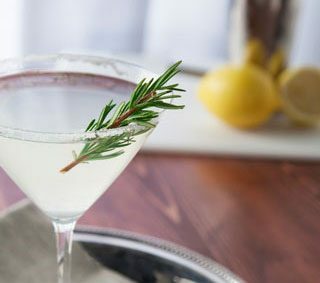 Instead of the usual olive or lemon peel, add some rosemary for a distinctly fragrant martini. Equal parts gin, Campari and sweet vermouth. Add gin, Campari, vermouth and ice to a glass, stir and enjoy. This drink is traditionally garnished with orange peel, but for an alternative citrus flavour, try it with some lemon verbena. Pour gin over ice cubes and add a few dashes of Angostura Bitters it really doesn’t get easier than this! Try it with some thyme, rosemary or star anise, and a slice of your favourite fruit. Cutting out alcohol? 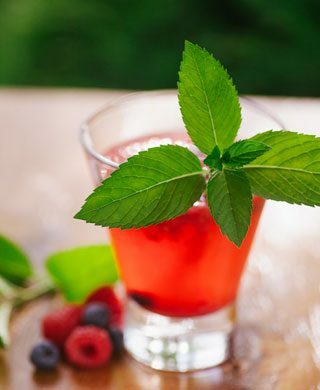 Try this mouthwatering mocktail. Mint leaves, apple juice, lime juice, soda water and ice. 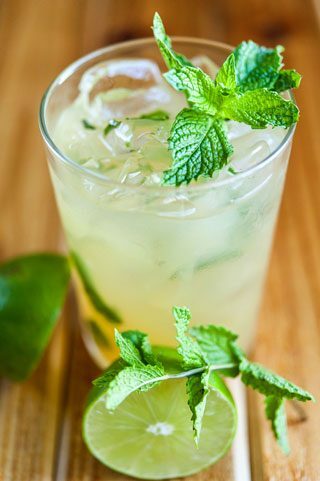 Crush a small bunch of mint leaves at the bottom of a glass, add juices and some crushed ice, then top it up with soda water. 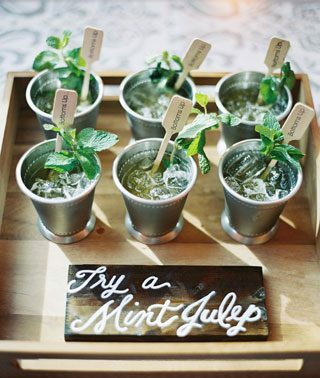 A fresh sprig of mint. Accessorise your cocktails with flower and herb ice cubes. Simply add your favourite herbs and edible flowers to an ice tray, pour over water and freeze. Not that you’re armed with some delicious recipes, it’s time to get creative with your coWhat makes the perfect gin cocktail? Impress your friends with delicious recipes this spring and summer, using fresh ingredients straight from your garden.cktails. 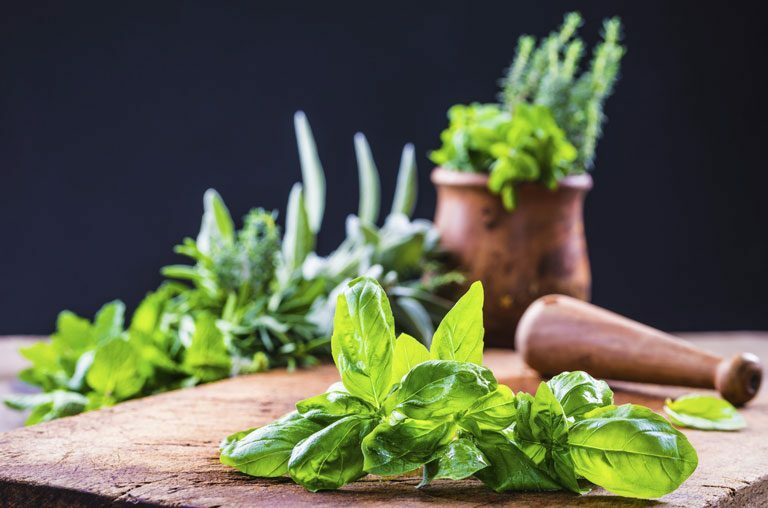 Find inspiration in your garden and grow your own fresh mint or rosemary for added aroma; try some fresh basil or coriander leaves for a peppery twist; or if you have lavender growing outside, pop a stem in your gin for a sweet, flowery taste. Options are endless, so don’t be afraid to play around with ingredients. 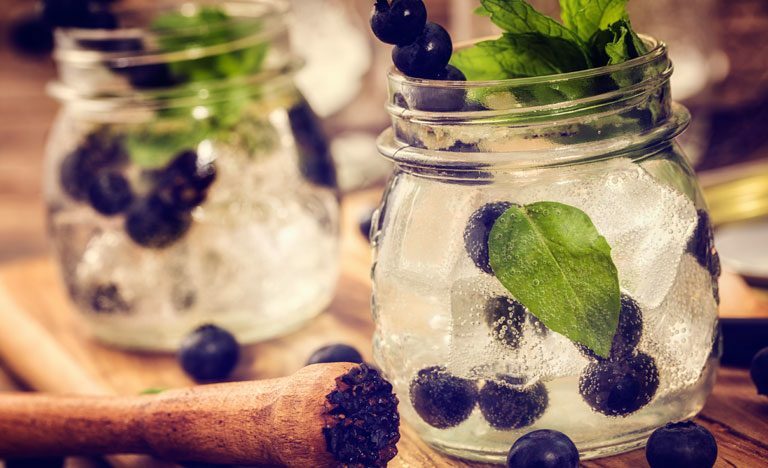 For more expert tips on both conventional and exotic gin types and toppings, have a look at The Definitive Gin Distillers Garnish Guide. 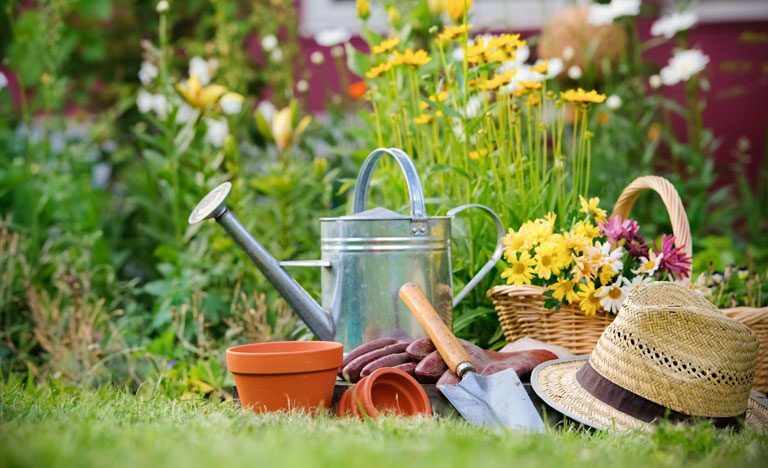 Spring-cleaning your garden is a lot like personal grooming – if you do the basic maintenance regularly, you’re laying the foundation for something that looks inviting and is easier to care for in the long-term. 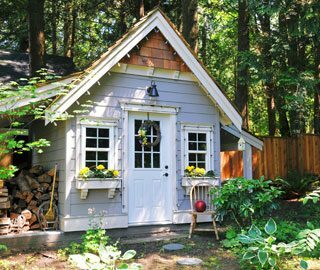 Putting a little bit of work in now will pay off when you’re having fun with family and friends in a lush, green extension to your living space. Winter can be unforgiving on your outdoor space, so it will appreciate a helping hand getting ready for the warmer months. Clear away everything that’s dry and dead, to allow the underlying glow to emerge and blossom. The first thing to do is “exfoliate” the garden by trimming, pruning and weeding (easier in spring than summer, thanks to shorter roots), and removing dead matter from your ornamental grass before the regrowth starts. Woody herbs can be lightly clipped, but pruning times for other plants vary, so don’t get too scissor-happy. Dead leaves, twigs and mulch will stop sunlight reaching areas that might need it, so get to work raking any debris up. 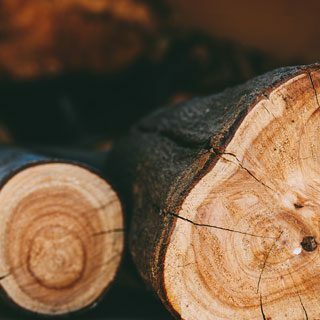 Consider hiring tools to help cut back damaged trees and turn discarded wood into mulch. This prevents having to send unnecessary waste to a landfill site. Homemade mulch also tends to be slightly heavier than what you might buy in the garden centre, which means it’s less likely to get blown around. To make the most of your garden, give grotty old paths, paving stones and patios a good scrub down, and hose away slippery, unsightly dirt and growth. 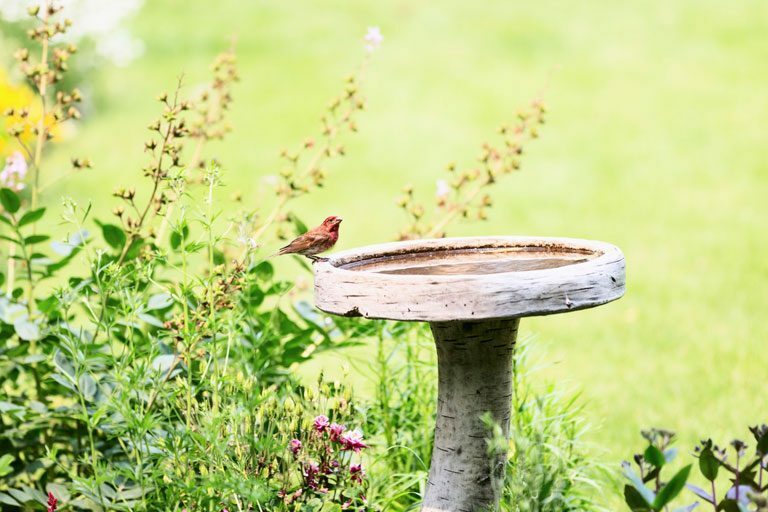 Do the same for bird baths and water features, checking for cracks that might have appeared during winter. 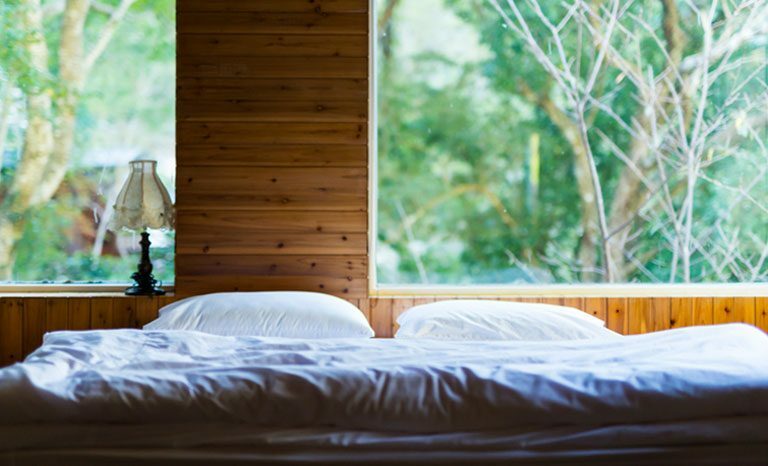 Be honest with yourself: if these items still don’t look good, consider scrapping or replacing them – it’ll make such a difference to the space. There’s a lot to be said for organising your garden tools and supplies too. Scrub off the rust, get rid of any caked-on mud and check the blades on mowers and trimmers. It’s a dreary job, but now’s the time to make sure your drainage ditches are clear. Spring is also a good time for repairing fences and trellises, as there is less vegetation to work around. A nice-looking lawn requires a fair amount of care and attention, but the reward is worth the effort. Start your lawn spring-clean by raking away dead grass and other organic junk, trimming (not too short on the first cut of the year, though, particularly as it won’t have grown much over winter), and applying moss killer where required. Check for bare and damaged patches, reseed these areas and aerate the whole lawn space. Fertilise with liquid feed that’s rich in nitrogen except if you’re planning to plant a wildflower mini-meadow. Keep the edges trim and tidy. Your flower beds are where the real magic happens, so it’s worth treating them right. Start by removing all the old mulch, or working it back into the topsoil if it seems well composted. It doesn’t hurt to add some good compost or well-matured manure at this point. Tidy up the edges of the beds, take a step back and perhaps consider adding a new border for some definition. If you don’t already have a compost heap, consider getting one going. The variety of compost bins on the market means you don’t need a massive garden, though bigger ones are more effective. Ideally, you should position it in a shady area as the micro-organisms that turn waste to compost work best when conditions are constant. The Royal Horticultural Society recommends a blend of 25% to 50% green materials (lawn cuttings, kitchen waste, or manure) with the rest being woody, brown material, such as wood chippings, paper, straw and dead leaves. Avoid letting any one material dominate the compost heap as it might get slimy. Turn it once a month to keep it well aired. This is the best bit. Never stop thinking about the fun you can have in your garden. 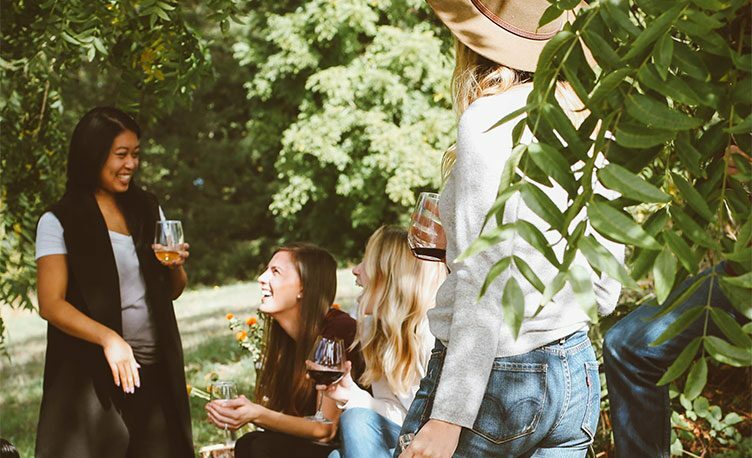 If looked after properly, it can be used year-round as a tranquil oasis to relax in, a family playground, or the perfect venue for an outdoor party. Think of it as your stylish second living room, or a lounge under the stars. 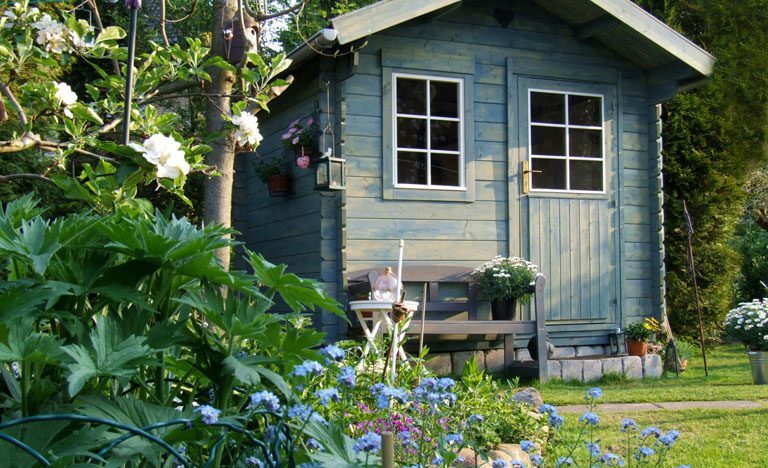 Whether you’re starting from scratch, considering a redesign or simply looking for inspiration, the Royal Horticultural Society’s design advice section has lots of great tips and ideas to help get you started. The sun is setting, the evening getting cooler. The fire pit is being stoked and you’re in your garden with the whole night ahead of you. Sounds pretty perfect, right? Right. Having a fire pit is a great way to spend more time outdoors with friends and family, and we all like the sound of that. A fire pit is a kind of outdoor fireplace; it can be portable or fixed, and is typically (though not always) open on all sides. The great thing is, a DIY one can work just as well as a bought one, even if it doesn’t have the same polished finish. 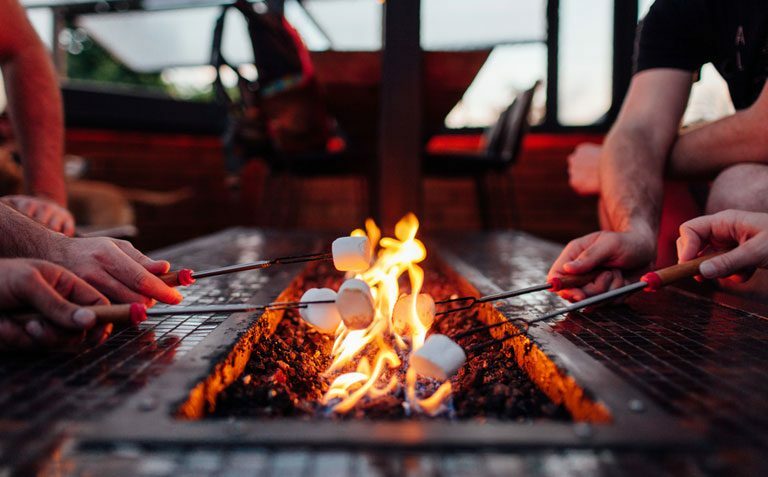 It is essentially a structure that can take many forms, including a fire pit table, that burns real wood, or is fuelled by propane, natural gas or clean-burning gel. wrought iron fire grills, to large stone or stainless steel models and elegant fire pit tables. Whether your outdoor space is sleek and minimalist, charmingly eclectic, or rustic in style, think about the look and feel of your garden and find a fire pit that adds to the atmosphere you have created. Limited for space but still want a fire pit? A free-standing, portable fire pit may be just the ticket. You’ll easily find basic models that are 5060 centimeters in diameter great even for tiny patches of lawn or decking. In a larger space, you’ll have more options, including DIY fire pits and natural gas models. Ask yourself what you want to use your fire pit for. Fancy al fresco cooking and star gazing by the heat of a real fire? A wood-burning fire pit might be your best option. Maybe you’re more interested in adding a fantastic design feature to your outdoor space? A natural gas or propane fire pit might be a better match. Gel fuel fire pits are easy to use and look good, but they don’t give off as much heat as many other fire pits. Not a problem, if convenient, stylish accessories is more of a priority than outdoor cooking and heating. A fire pit that burns wood is the closest substitute for an actual campfire, with the crackle, smoke and heat providing an authentic outdoors vibe. Wood and charcoal fire pits can also be superb alternatives to a traditional grill, for year-round outdoor cooking. A propane fire pit is a convenient option if you have space, that is; they tend to be large. Fuelled by a propane tank, they switch on and off in an instant, without the need for a gas line and with no ashes to worry about. Gel fuel fire pits are also convenient and flexible. They use tins of eco-friendly fuel, or gel, which burns without giving off any smell, smoke or mess. The fuel can be used in many different types of fire pits, but doesn’t tend to give off a lot of heat. A natural gas fire pit can offer your garden a stunning statement piece. They are often beautifully designed, with sunken and raised models available and you’ll never run out of fuel. They are fixed, though, and you’ll need to install a potentially pricey natural gas line. A chimenea is a freestanding, front-loading oven or fireplace, but unlike fire pits, chimeneas are contained and have a flue or chimney. Outdoor fireplaces are usually also contained, but with the added safety of a hatch or screen at the front. 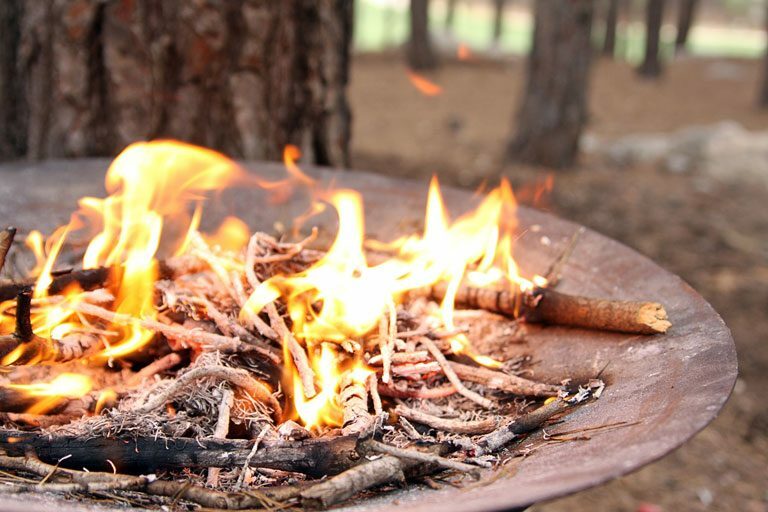 A fire basket is pretty much what it sounds like a metal basket that you burn firewood in. It’s easy to use and move, but not suited for windy weather. 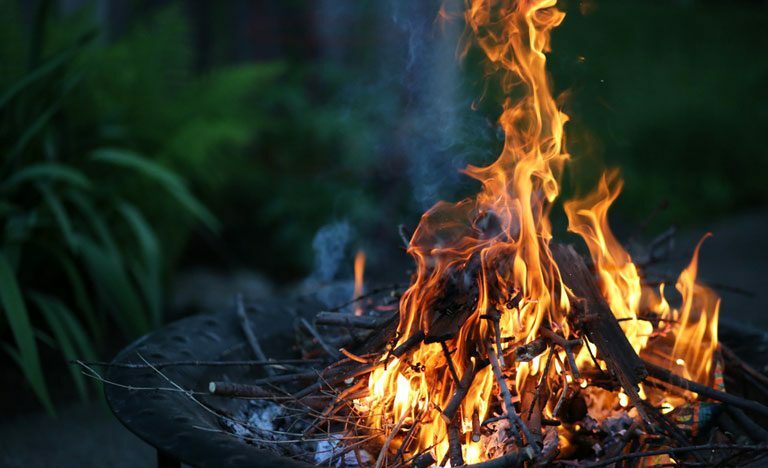 Add a sprinkle of sage to your fire pit to help keep mosquitos and other flying nasties away. Fill apples with granola or crumbled oatmeal cookies, wrap in tin foil and cook in the embers of your fire pit for a delicious, warm dessert. Put a grill on top of your fire pit and transform it into a barbecue. Still not sure what kind of fire pit to get, or how to make the most of it? Check out this House to Home article, featuring 5 fantastic fire pits and Gardens Illustrated ’s top nine fire pits , for more ideas. Another great place to look for inspiration when it comes to creative fire pit designs and DIY tips is Pinterest. So what are you waiting for? Log on now and start the hunt for your perfect fire pit. Being able to pop out and take a snippet of something fresh to cook with, or make tea from, is a simple pleasure. Homegrown herbs look and smell great, and they could help attract some garden wildlife. Herbs are pretty resilient, and many of them don’t need much attention. If you’re starting from scratch, it’s worth doing a bit of research to make sure you’re planting in optimal conditions: while many herbs are tough and will flourish just about anywhere, others are quite fussy about the amount of sunlight they require. They all, however, require a degree of shelter. If you’re new to herb gardening, a great shortcut is to start with seedlings rather than seeds. That way, you’ll get a clearer idea of what each species should look like, and how they should grow, as a young plant. 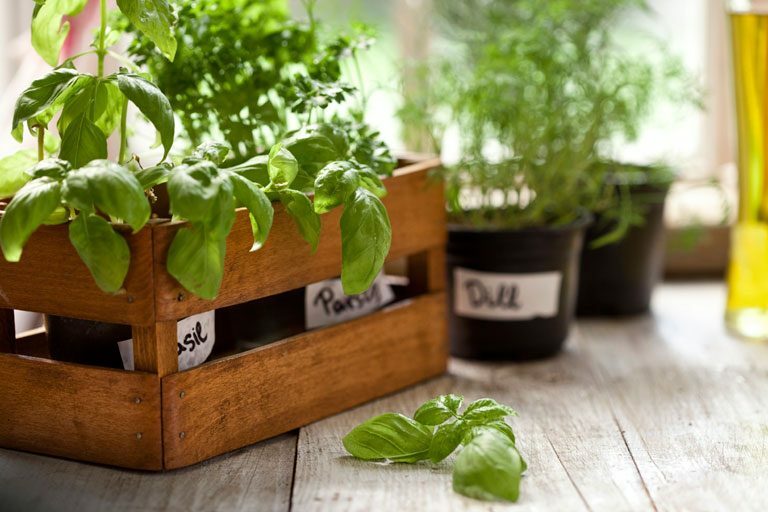 Most herbs prefer soil that’s well drained and fertile, with plenty of organic goodness. If yours is clayheavy, incorporate some compost or grit to improve the drainage. Or get round the problem of dense soil by creating a raised bed. 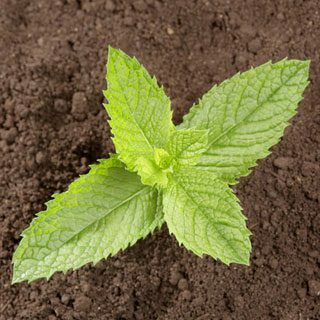 Herbs tend to be happier in soil that’s neutral to alkaline, but can take a little bit of acidity. If there’s too much of the latter, counteract it with some lime. 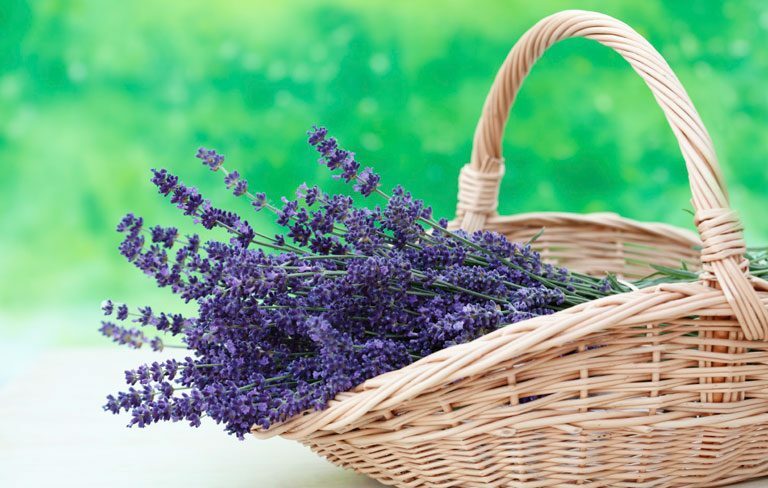 If you are growing from seed, you should first distinguish between annual/biennial herbs. As the names suggest, annual herbs have a life cycle of one growing season, and for biennial herbs two growing seasons. They tend to grow fast and might need to be resown regularly. Both annual and biennial seeds can be sown from March to August, and can be resown every few weeks to ensure a fresh regrowth. Perennials have a much longer life span, consisting of multiple growth cycles. These grow more slowly and need a more permanent home. Most perennials, should be sown in covered seed trays and then planted in their final positions when their roots seem strong enough. Some need a transitional period of getting used to lower temperatures outdoors, so it’s best to follow the instructions on the seed packets. 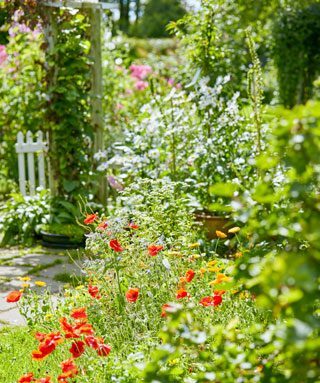 If you’re lucky enough to have plenty of space, you can plan a traditional herb garden with gravel walkways between sections and raised beds. This will require more of your time as you’ll need to plan your design carefully, use the right type of herbs, and ensure raised beds are kept in tip top condition. Herb wheels, a multicompartmental planter, and raised beds are useful for keeping species separate, and you can also plant herbs as borders in existing flower beds. 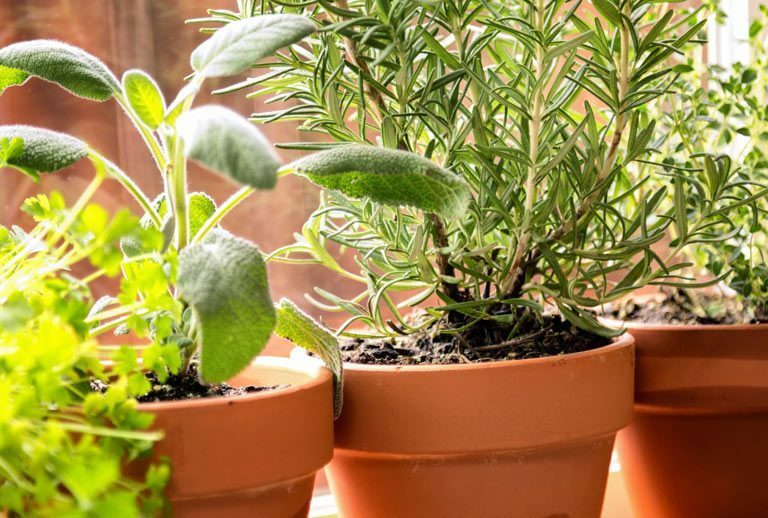 herb garden or make the most of your windowsills (south-facing is best). Growing in popularity, micro-herbs, also knows as micro leaves, such as coriander and basil are harvested a week or so after germination and are flavoursome and easy to grow; all you need is a windowsill in a warm room that gets plenty of daylight. Woody herbs need a light pruning in the autumn or after flowering to prevent them from getting even more woody. Softer ones should also be cut back after flowering to encourage more growth.